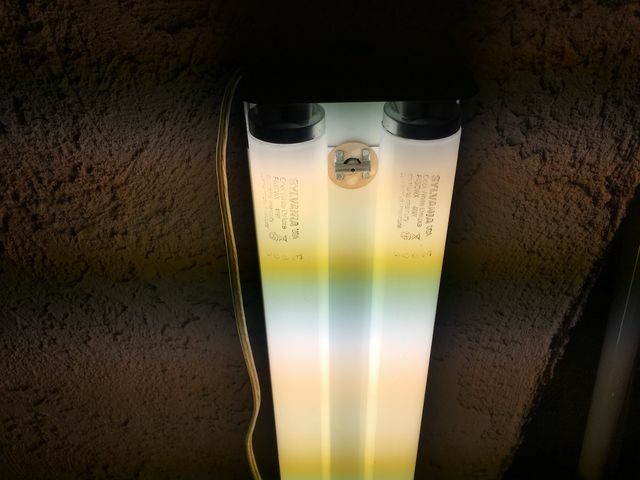 Lighting-Gallery-net - Fluorescent - T-12 and larger/New USA made Sylvania F40CWXs. Sadly, will be only temporary. New USA made Sylvania F40CWXs. Sadly, will be only temporary. Ledvance closed its Drummondville QC Canada plant, transferred T12 production to Versailles, KY USA. Now the Versailles KY plant is closing!!! I would think the combined demand would be enough to keep the remaining plant open, even if at reduced production? Hey, Silverliner, where did you get this pair? I want to get a pair myself before the plant shuts down. @fluorescent lover 40 I got this at DIY Home Center. You're in the Inland Empire. I know Ganahl Lumber sells Sylvania bulbs, the closest location to you is in Corona, CA. Or I can just get you a pair and give to you when we meet up. Get'em while you can. After Versailles, quality is a BIG question mark! @jercar954, yeah. A big question mark! At least hopefully Philips will make them for Ledvance in the USA. That’s such a shame! I’ve almost always thought of Sylvania fluorescents being American made. I hope the quality is maintained if these are outsourced. That’s interesting that Philips could acquire the Ledvance name, too. I guess Philips would continue production in Salina, KS with Ledvance sponsorship/ownership. Sylvania did the same thing with its incandescents and halogens made in the St. Marys, PA plant. On a side note, Versailles, KY is also home to one of my favorite whiskey distilleries. I always thought GE was the best for modern lamps (at least for F32T8 lamps). In 2016 (I guess alot can change in 3 years though) I bought a pair of GE active spaces F32T8's. The tubes are of good quality I have them on for at least 6-8 hours a day and the ends are still good with only slight blackening. On the other hand I do not have a lot of experience with linear tubes so I don't really know. Are these 2500 lumens in the USA yet? Or is that only for the ones exported to Canada? Yep, they're 2500 lumens now. Yes the 5000K ones are now rated at 2400 lumens. Have yet to see the USA made /930s and /941s.